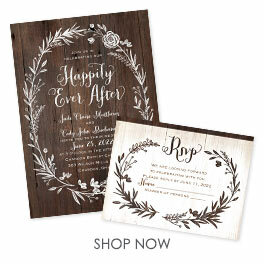 Surround your wedding details in the elegance and beauty of blossoming flowers when you choose these simply sweet wedding invitations featuring a woodgrain background. 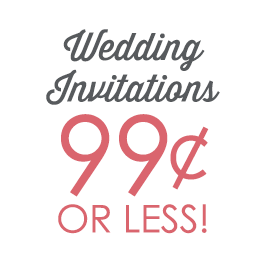 These two-sided wedding invitations are printed with your invitation wording on the front and your choice of wording on the back. Response postcards are included and matching information cards are available. Personalization Options: Background and leaves are printed as shown. Flowers are printed in your choice of color. Your wording is printed in your choice of colors and fonts.